Goodwin carers and nurses celebrated the conclusion of a twelve-month research project into the reduction of behavioural and psychological symptoms of dementia (BPSD) which suggests quality of life for dementia patients can be increased through non-pharmacological methods. The research program, titled BPSDplus, was developed Dr Moyra Mortby of the School of Psychology, UNSW, and run in collaboration with Goodwin Aged Care Services. Dr Mortby says that preliminary results indicate that a structured approach to person-centred-care and the use non-pharmacologic interventions to manage BPSD can help improve quality of life for residents, carers, and family members. ‘We’ve seen promising initial results in relation to the provision of care, with care staff experiencing an increase in feelings of empowerment, and a better understanding of the complexities between dementia and BPSD.’ Said Dr Mortby. Funded through the National Health and Medical Research Council and Australian Research Council (NHMRC-ARC) Dementia Research Development Fellowship, the program provided a detailed two-day training course which set the foundations for the twelve-month structured non-pharmacological intervention program. Training focussed on providing care staff with a more detailed understanding of dementia, BPSD, person-centred care and the use of non-pharmacological interventions such as exercise, massage and touch, reminiscence therapy, music therapy, and meaningful and pleasant activities. Each care staff was paired with a resident, with behaviours assessed and evaluated over a 12-month period. 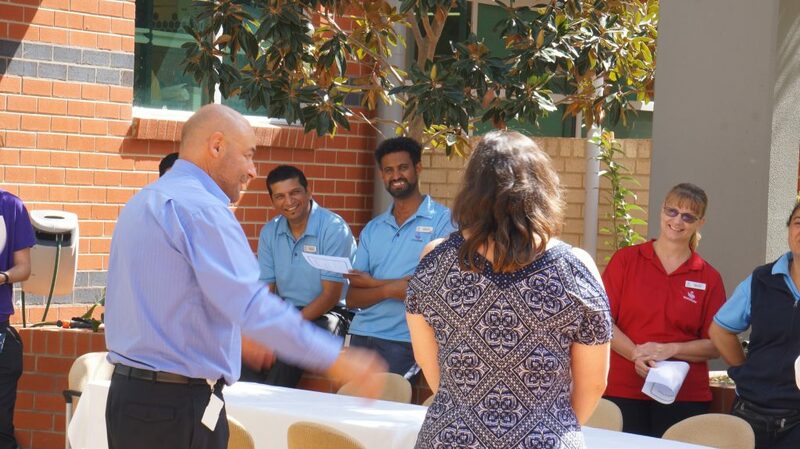 The programs’ approach of “knowing your resident” helped to create a more personalised relationship between the care staff and the residents they were paired with and helped to improve a sense of connection between staff and residents. 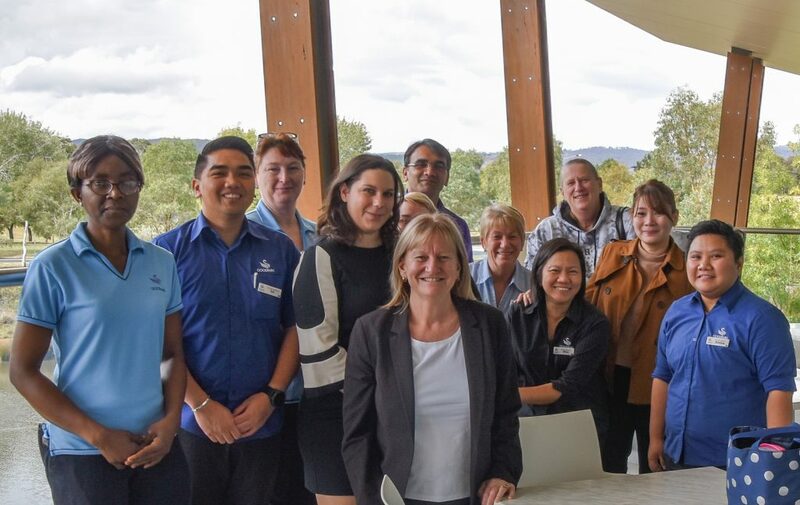 Robyn Boyd, Executive Manager Residential Care, Goodwin says the relationship with UNSW has been a very positive experience for all involved and is enthusiastic about the improvement in care resulting from the program. ‘Improving quality of life is at the heart of everything we do and that has been the core focus of this joint project, so it is very pleasing to see such positive results after its first year.